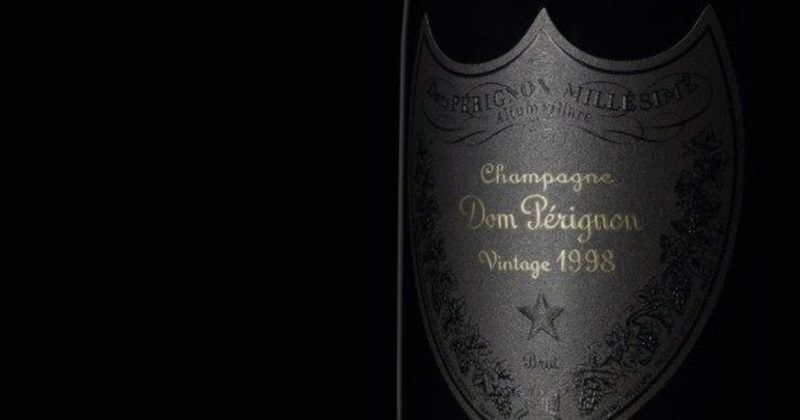 This three day package offers the ultimate in Champagne luxury for lovers of Dom Pérignon. Staying at the 5* Royal Champagne Hotel & Spa, guests will enjoy a flawless level of service at the hotel, as well as dinner in the hotel’s gourmet restaurant. Upon arrival in Champillon, check into your preferred room at the Royal Champagne Hotel & Spa. The remainder of the day will be free for you to settle in and do as you please. You may wish to relax at the hotel and make use of the breath-taking facilities. The hotel boasts a fantastic spa including an indoor and outdoor pools, a sauna and a hammam. The lovely Champagne bar has a great terrace offering stunning views over the surroundings. Alternatively, you may prefer to explore your charming surroundings independently. In the evening a four course gourmet dinner with Champagne aperitif, wine, water and coffee will be served in the hotel’s Michelin-starred restaurant. On day two, you will be met at the hotel by a luxury chauffeured MPV (a Mercedes E or S Class), which will accompany you throughout the day on a private basis. In the morning, you will be taken on a private river cruise on the lovely Marne River in a beautiful vintage wooden cruiser. 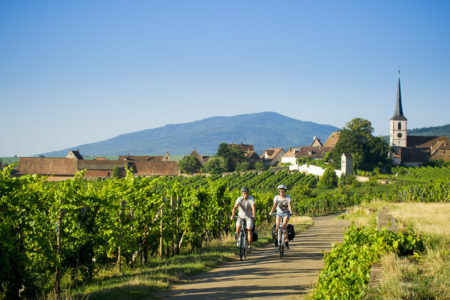 This is a great way to experience the vineyards from a different perspective and see local sights such as the locks and dams in Cumières and the abbey and vineyards of Hautvillers. 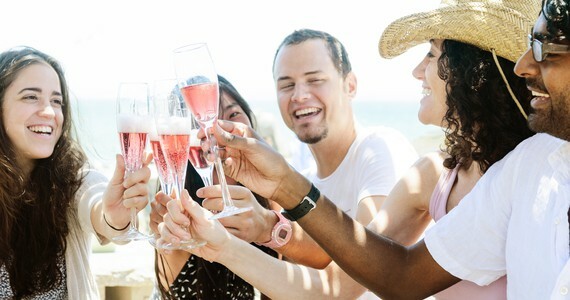 A bottle of Dom Pérignon rosé will be served on board with local nibbles. 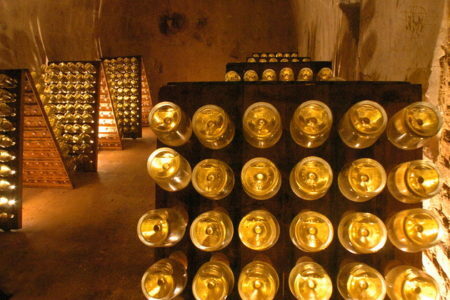 You will then be taken to the famous hilltop village of Hautvillers, the “cradle of Champagne”. 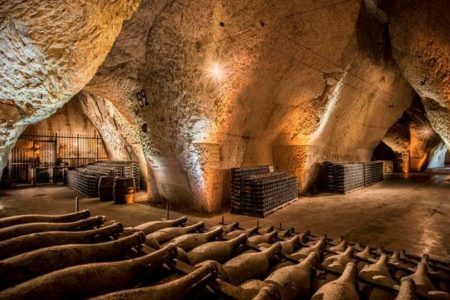 As well as having time to admire the spectacular views across the vineyards and visit the Church where Dom Pérignon is buried, a tasting session of a vintage Dom Pérignon Champagne will take place in a quaint tasting boutique in the village. Platters of cheeses, gourmet local delicacies and coffee will also be served. 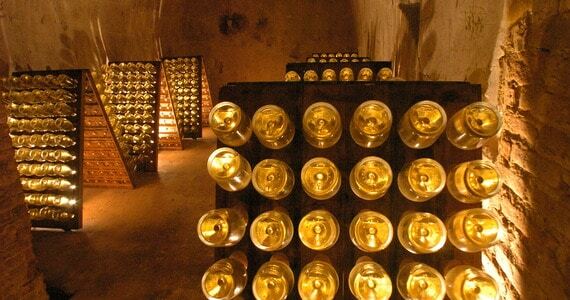 In the afternoon, you will visit the largest and grandest of Champagne Houses- Moët and Chandon for a private Dom Pérignon tour with a VIP guide. 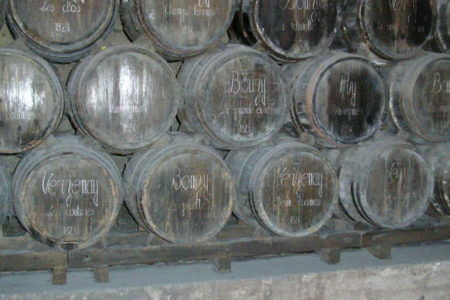 You will be visiting some of the oldest areas of the cellars which are seldom visited by the public. Tasting of the latest white Dom Pérignon and Dom Pérignon Plénitude vintages will conclude the visit in an elegant reception room at the Moët mansion. You will be taken back to your hotel at the end of the tour. The evening will be free for you to do as you please. We will provide you with a list of recommended restaurants in the area as part of your travel pack and we would be pleased to reserve you a table at any of these for dinner. After a leisurely breakfast, check out of the hotel and at your own pace start your journey home. Upon arrival in Champillon, check into your room or suite at the Royal Champagne Hotel & Spa. The afternoon will be free for you to explore to settle in. 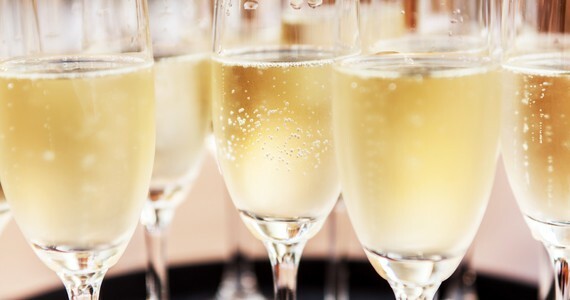 You may wish to relax at your hotel and make use of the luxurious facilities, such as the fantastic spa and the lovely Champagne bar and its terrace offering stunning views over the surroundings. Alternatively, you may prefer to explore your charming surroundings independently. In the evening, a delicious four course dinner with Champagne, wine, water and coffee will be served in the hotel’s Michelin-starred restaurant. 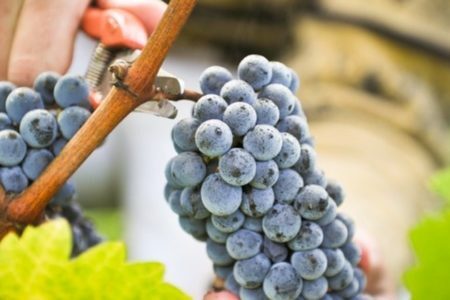 In the morning, we will arrange a cruise on the charming Marne River for you including a bottle of Dom Pérignon rosé and some local nibbles. 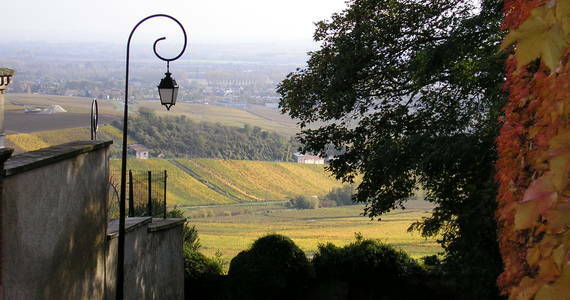 You will enjoy some lovely views over the surrounding vineyards as well as a unique view of the abbey of Hautvillers. 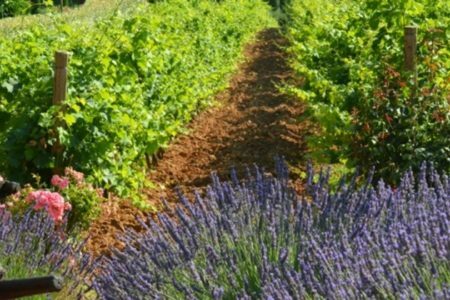 After the cruise, you will be taken to the charming village of Hautvillers where you will have some time to visit the Church where Dom Pérignon is buried. 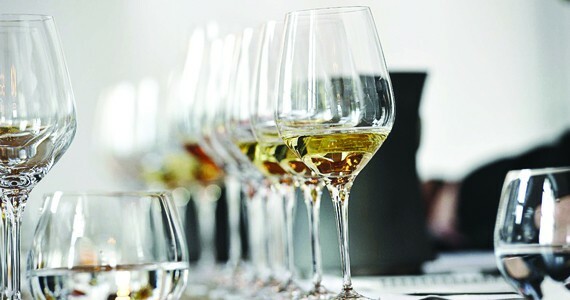 A flute of vintage Dom Pérignon as well as a light lunch will be served in a tasting boutique in the village. 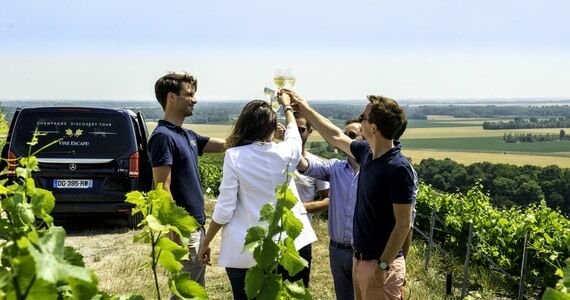 In the afternoon, you will be welcomed on a private Dom Pérignon tour at Moët and Chandon, concluding with two flute of Dom Pérignon including the latest vintage and a Dom Pérignon Plénitude. We will provide you with a list of recommended restaurants in the area and we would be pleased to reserve you a table at any of these for dinner. These are realistic guide prices, based on travel in standard season (usually April to the end of October). Considerable discounts often apply for travel out of season (usually November to the end of March), week day stays, or if there are more than two of you travelling together. Please let us know your preferred travel dates for a definitive price. Bring friends and spend less! A discount of £300 per person applies to groups of four people or more who are travelling together on this break. 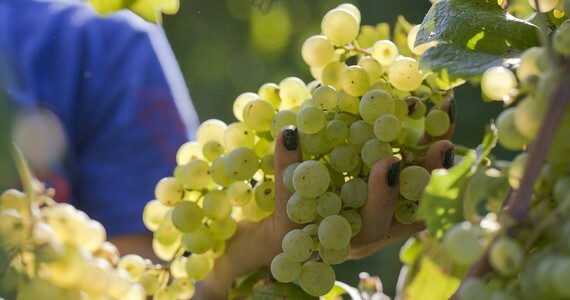 If you would like to make your VIP Dom Perignon tour even more special, there are a number of additional activities that we can arrange for you. To complement the experience, these could be arranged to fit in/around your current itinerary or we can arrange additional nights and room upgrades at your hotel. We can also organise your travel arrangements, a stop-over en route and even a visit to another part of France! See below for some of the most popular upgrades. Stay longer! Just let us know which room grade you prefer and we would be delighted to arrange an additional night’s stay. 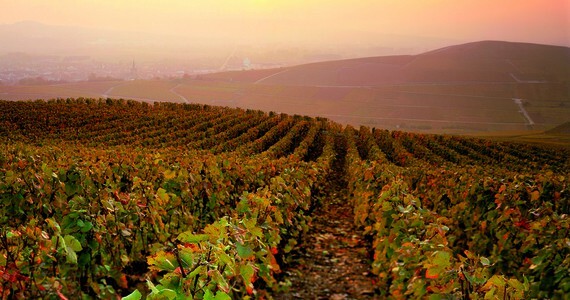 Explore Reims and the vineyards. 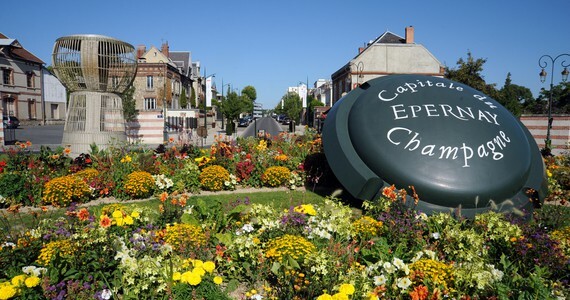 If you are staying an additional night in Champillom, you may wish to spend the day in Reims, enjoying some of our recommended tours and activities. Stay in Reims. 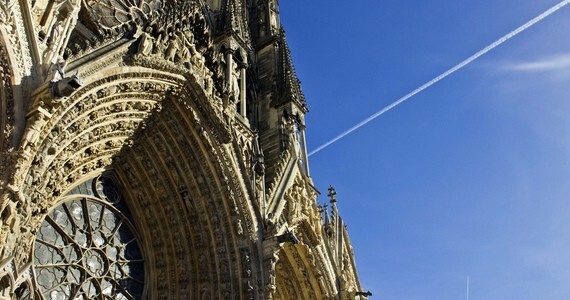 Why not stay a little longer in Champagne and indulge yourself in a stay in one of our luxurious hotels in Reims? Spend a night in Northern France. 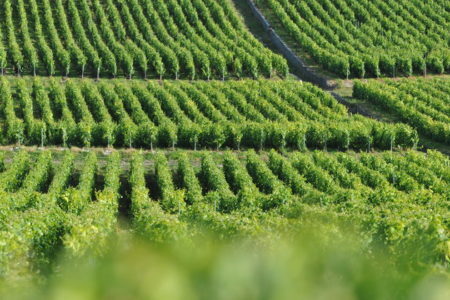 The drive from Calais to Champagne is only 2 ½ hours. However a large number of our guests still enjoy spending a night or two en route to explore Northern France and in particular, the WW1 Battlefields. 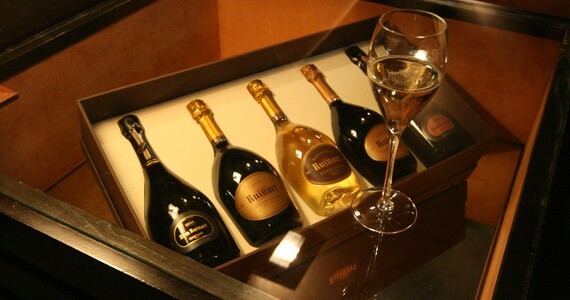 The price of this package does not include travel to your Dom Perignon tour. Please see our travel page for further information. "The hotel was beautiful, the dinner amazing and Dom Perignon was ‘once in a lifetime’ that will never be forgotten."